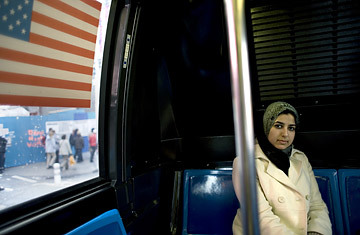 Shireen Khan rides a bus in New York City. care in making sure I did right — my religion. after that, it serves to check my modesty. easy access to mosques — almost every street or neighborhood had one. store with a new pair of something. day, it might have seemed like I didn’t hear that man yell what he did. Muslim and American at the same time.